Now a days, people are so busy with their works all the times and they even don’t get time to rest during the day. For this reason, along with physical tiredness, we also suffer from mental stress. 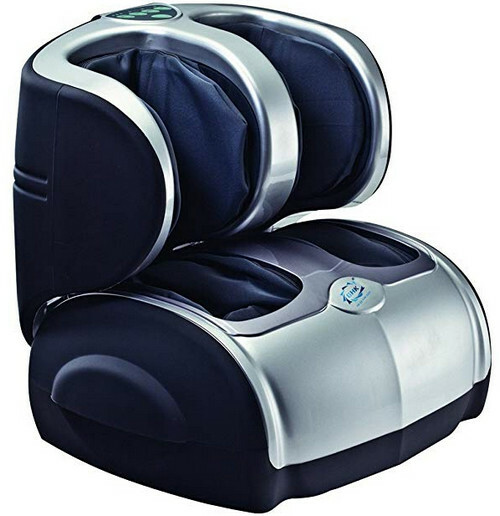 In this situation, a good foot or leg massager can reduce a lot of stress from you within few minutes. 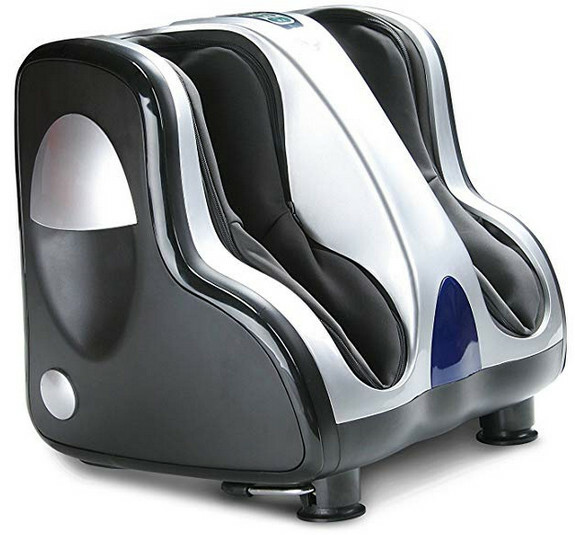 Leg and foot massager works like a magician to give relief from mental stress also. That’s why, in this article, I have taken the top 5 best leg and foot massager in India you can buy from Amazon website online. There are different types of leg and foot massagers available in the market. You can choose according to your budget and needs. You can either go for small and lightweight massagers that doesn’t take much space in your home, or you can also buy big size fully functional foot massagers to get more body parts massaged. These top 5 best foot and leg massagers in India are available online on Amazon India website. You can easily place the order online and get the massager delivered to your home within few days. These foot and leg massagers are really a great choice to gift your mom and wife. Usually, most of the aged womens in this country are suffering from leg pain. A leg or foot massager can be very fruitfull for them to reduce the pain. At the same time, normal people without any specific physical problem can also use the massager to get pleasure and reduce the mental stress. This is one of the best foot and leg massager available on Amazon India store. It instantly give you relief from your leg pain and reduce stress with it’s effective massage. It comes with 3 different modes of vibration and kneading. There is also a reflexology virbration plate placed on the sole to take it’s relaxation power to the next level. This leg and foot massager is very much effective for varicose veins, foot pain, pain of calf and knee pain. Arthritis patients can also get great releaf by using this leg massager. More than 500 satisfactory reviews have been given on this massager on Amazon. According to Amazon India itself, this is the #1 Best Seller in the whole electric foot massagers category. The massager costs Rs 11,890 only. This is a luxury leg and foot massager so the massage given by this massager is also next level. It has two different section to give better massage to the leg. It also uses Airbag to give massage. 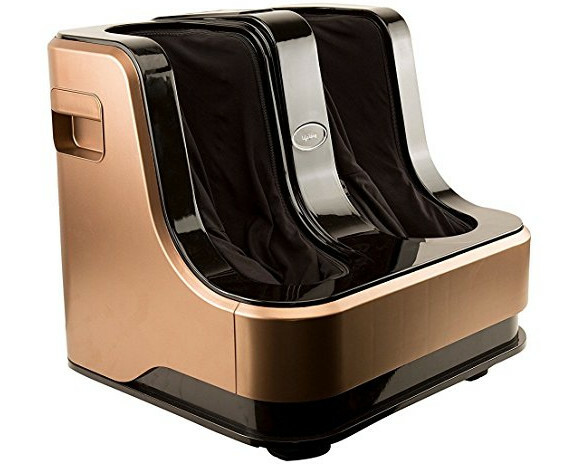 Leg, Calf and Foot three body parts can be massaged at once using this luxury massager. It feels super-comfortable on legs. It also comes in different variation such as HC2, H8, HC15 and H50. Price and features also varies from model to model. The end model is priced at Rs 20,900. HC2 costs Rs 6,249, H8 comes at Rs 4,975 and HC15 is priced at Rs 10,499. It has 4 out of 5 star rating on Amazon India online store. The massager comes with 1 leg & 1 foot massager and a instruction manual. 20 minute auto shut-off feature is also available with this luxury massager. This is a balanced massager with all the essential and basic needs. Plus it also comes with a remote control to adjust the massager wirelessly. It contains the bipedal reflexology system which can give a massage to both the feet at same time unlike other ordinary massagers. The LED control panel is also there to adjust the machine. 15 mins auto shut-off feature has been given to prevent overheating. 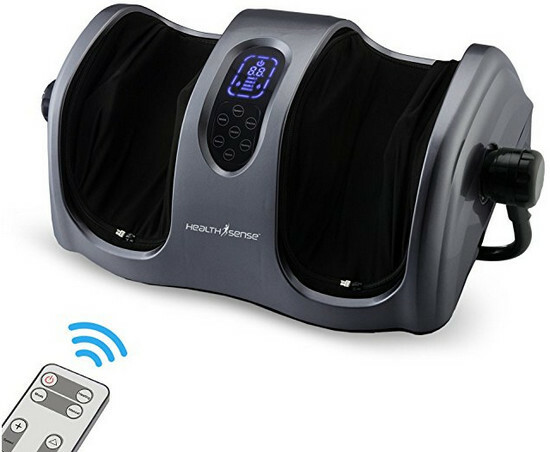 This leg and foot massager is priced at Rs 5,999 on Amazon and has 23 customer reviews and 4 star rating which is good. These were the top 5 best foot and leg massager in India to buy from Amazon India online. 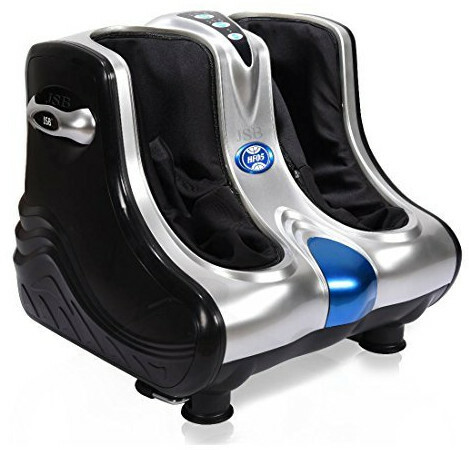 These are best choice if you want to buy a foot and leg massager for you or for gifting to your wife and mom. I have also seen some reviews where buyers explained how happy their mother was by getting these massager as a birthday gift.